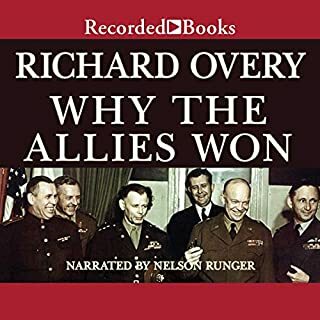 In this fascinating consideration of the Allied war effort, historian Richard Overy answers one of the great questions of the 20th century: What led to the unmistakable Allied victory when in the early stages of World War II, the balance of power so strongly favored the Axis? 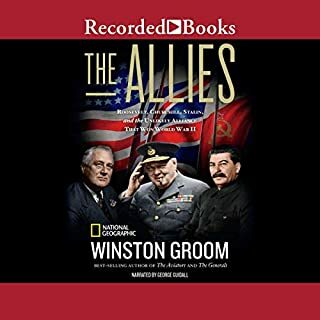 Best-selling author Winston Groom tells the complex story of how Franklin Roosevelt, Winston Churchill, and Joseph Stalin - the three iconic and vastly different Allied leaders - aligned to win World War II and created a new world order. 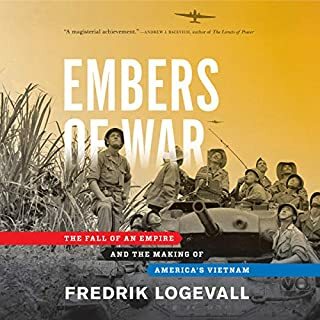 In this landmark work that will forever change your understanding of how and why America went to war in Vietnam, author Fredrik Logevall taps newly accessible diplomatic archives in several nations and traces the path that led two Western nations to tragically lose their way in the jungles of Southeast Asia. He brings to life the bloodiest battles of France’s final years in Indochina - and describes how, from an early point, a succession of American leaders made disastrous policy choices that put America on its own collision course with history. 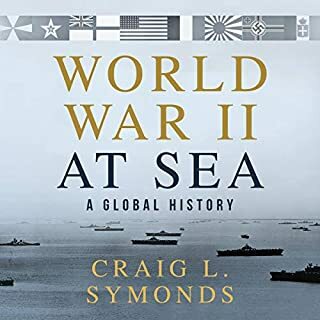 World War II at Sea offers a global perspective, focusing on the major engagements and personalities and revealing both their scale and their interconnection: the U-boat attack on Scapa Flow and the Battle of the Atlantic; the "miracle" evacuation from Dunkirk and the pitched battles for control of Norway fjords; Mussolini's Regia Marina - at the start of the war the fourth-largest navy in the world - and the dominance of the Kidö Butai and Japanese naval power in the Pacific; Pearl Harbor then Midway; and much more. The struggle between Rome and Carthage in the Punic Wars was arguably the greatest and most desperate conflict of antiquity. The forces involved and the casualties suffered by both sides were far greater than in any wars fought before the modern era, while the eventual outcome had far-reaching consequences for the history of the Western World, namely the ascendancy of Rome. 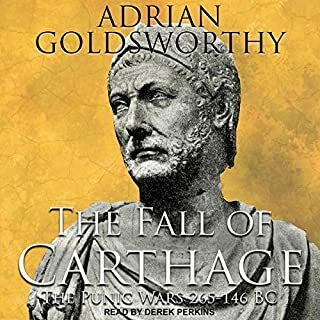 An epic of war and battle, this is also the story of famous generals and leaders: Hannibal, Fabius Maximus, Scipio Africanus, and his grandson Scipio Aemilianus, who would finally bring down the walls of Carthage. When we seek an example of great leaders with unalloyed courage, the person who comes to mind is Winston Churchill: the iconic, visionary war leader immune from the consensus of the day, who stood firmly for his beliefs when everyone doubted him. But how did young Winston become Churchill? What gave him the strength to take on the superior force of Nazi Germany when bombs rained on London and so many others had caved? 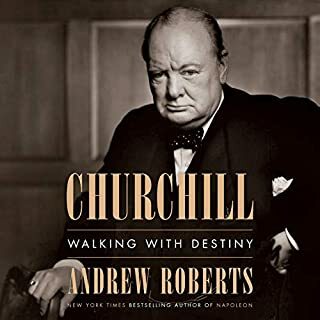 In this landmark biography of Winston Churchill based on extensive new material, the true genius of the man, statesman, and leader can finally be fully understood. A unique look at the complex relationship between two of America's foremost World War II leaders. 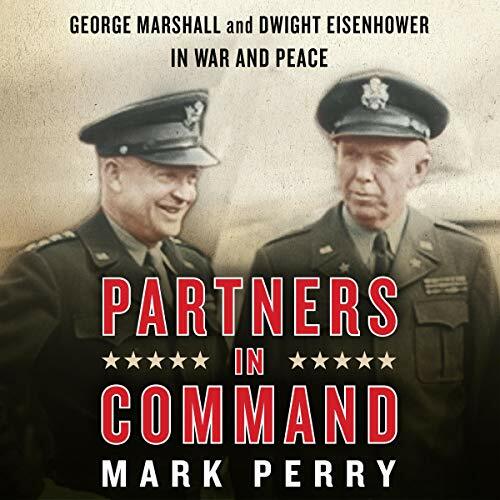 The first book ever to explore the relationship between George Marshall and Dwight Eisenhower, Partners in Command eloquently tackles a subject that has eluded historians for years. As Mark Perry charts the crucial impact of this duo on victory in World War II and later as they lay the foundation for triumph in the Cold War, he shows us an unlikely, complex collaboration at the heart of decades of successful American foreign policy - and shatters many of the myths that have evolved about these two great men and the issues that tested their alliance. As compelling as it is vitally informative, this work is a signal accomplishment.